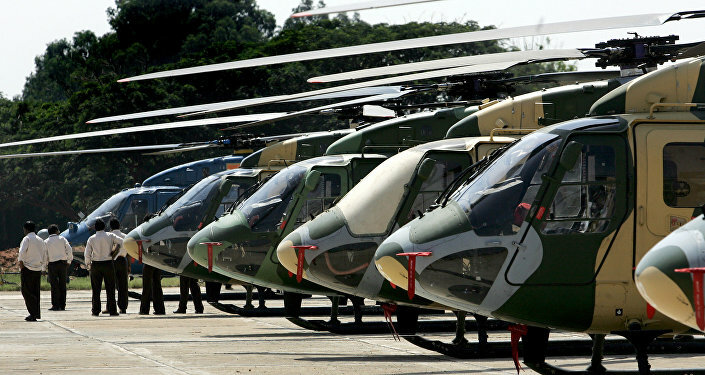 New Delhi seeks to procure 83 combat aircraft produced by the state-owned Hindustan Aeronautics LTD (HAL) in an attempt to free its air force from dependence on imported technologies, Defense One reports. According to the report, the airplane, designated LCA (Light Combat Aircraft) Mark-1A, is going to be "truly a fourth-generation fighter," equipped with service-specific Active Electronically Scanned Array radar, or AESA; air-to-air refueling pods; self-protection jammers; and improved avionics and core systems. The procurement program will cost $8 billion and is currently the largest purchase made under Indian Prime Minister Narendra Modi's "Make in India" program, which seeks to alleviate India's dependence on imported products. The announcement comes months after Indian authorities attempted to place an order of 105 LCA Mark 2's, a futuristic aircraft currently under development, which would have costed $15 billion. The procurement is in an uncertain state since, according to military experts, the program lacks clarity and immediate priorities. "LCA Mark 2 is a far-fetched vision. 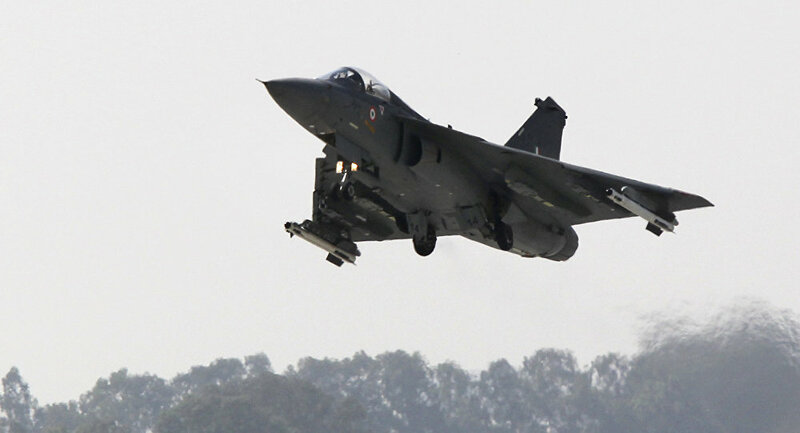 The service wants improvement on the existing LCA to address all issues of looms, improvement in performance, interchange ability, improved US-made GE 414 [engines], improved avionics and missiles to be fitted on it," a senior Indian Air Force official told Defense News in September. According to Daljit Singh, a defense analyst and retired Air Force air marshal, the Mark 2 program "was proposed by the Indian Air Force to ensure that the aircraft complies with the majority of air staff requirements. However, that would involve major design changes of the fuselage to accommodate a more powerful engine." The Air Force has already put an order in for 20 improved Mark 1 fighters. After the new planes are certified for operation, the Air Force plans to place a bid on another 20. The LCA program began in 1993, but so far HAL only managed to deliver six planes. Currently, the Indian Air Force relies on a variety of Soviet and Russian aircraft, as well as some French Dassault Mirages and UK/France SEPECAT Jaguar attack aircraft.